Anne Frank made me want to become a writer. I read her diary when I was 11. “Will I ever become a journalist or a writer? I hope so, oh, I hope so very much,” she wrote. Her moving, clever diary fuelled my similar ambitions. I dreamed of millions reading my work just like she did. Last month, Anne inspired me again. This time, she made me think deeply about how to improve my charity storytelling. I visited the flat in Amsterdam where she hid. For days afterwards, I couldn’t stop thinking about it. The photos of Greta Garbo and Ginger Rogers Anne had plastered all over her bedroom. The pencil lines on the wall marking how she had grown from a little girl to a tall woman during her two years in hiding. The bookcase blocking the secret entrance she was dragged through the day the Gestapo found her, heaving with tattered 70-year-old ring binders. The visit immersed me in Anne’s experience. Standing in her bedroom, I felt a profound connection with her. And an intense desire that we must never let something as terrible as the Holocaust happen again. So how does that relate to charity writing? Well, it made me consider how I can immerse people in the charity case studies and features I write. So they think about what I’ve written for days afterwards. So they feel that deep connection with the person and cause I’m writing about – and a deep desire to take action and give support. That’s our ultimate goal as charity copywriters, right? I already knew Anne’s story. I already thought it was dreadful. But, for me, what made her come alive, what really drowned me in her world, were the little details. The height chart. The dog-eared, teenage-doodled tartan diary. Then battered old sink she washed in. You can add a few carefully chosen descriptions of surroundings and the people you’re interviewing into your charity case studies and features to bring sharp images to mind, subtly make a strong point and add life to your writing. These details are known as reportage. Before the interview even begins, the writer has already created sympathy with and interest in Kerry. Reportage is a powerful tool. Another thing that made me feel strongly connected to Anne was imagining the pictures of Greta and Ginger could easily be One Direction or the Hunger Games if she were alive today (although I don’t think Anne would ever have been uncool enough to be a belieber). In other words: I could relate to her. A personal connection is often what makes people support a particular charity. “That could be me, my child, my family” is usually involved somewhere. Try to make this connection in your writing. Think about details you can add to help people relate to and invest strongly in what you’re saying. If you’re going to really touch people with your writing, it has to have verisimilitude, AKA a ring of truth. Just like walking through Anne’s house plunged me deep into her world, we want to plunge readers deep into the stories we write. And that won’t be possible if they seem a bit generic or made up. A good piece of charity case study or feature will have lots of specifics and small details to make it compelling and authentic. Every time I feel particularly moved by a story, I’ve started asking myself why – and if there’s anything I can take to put into practice in my charity writing. 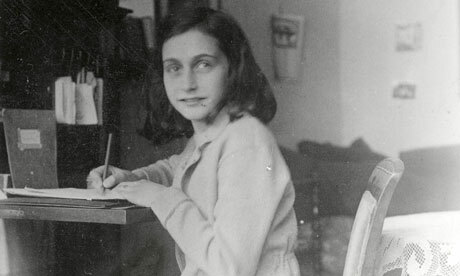 My trip to the Anne Frank house is the most obvious example, but inspiration is everywhere. Why don’t you start doing the same? Need help to tell your charity stories? Why not drop me a line?